vst. 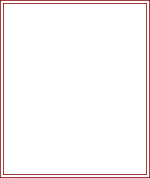 (1htr, 2ch, 1htr) into same space or stitch. Made in continuous rows without turning. Row 5-7 - ss to first 2ch space, make 2ch, (1htr, 2ch, 1htr) into same space, work (1htr, 2ch, 1htr) into each 2ch space to end, ss to first htr on beginning of row. Using colour 1 rpt Rows 8 & 9. Fasten off. 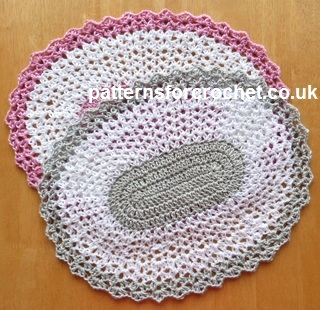 Hope you enjoy this free crochet pattern for an oval table mat.